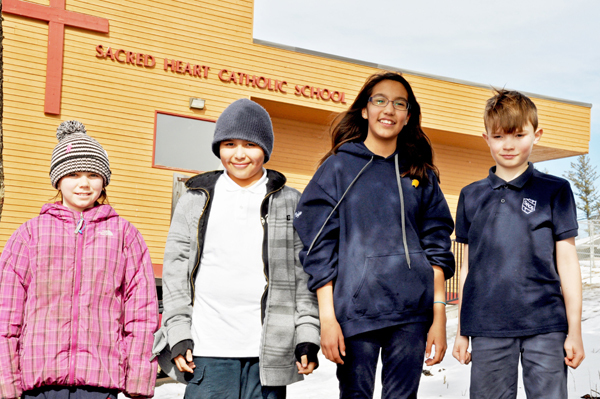 Students from Sacred Heart School are embarking on an exciting project that includes habitat revitalization, outdoor classroom spaces, and gardens so each class can have its own bed. Principal Shirley Giroux said the project kicks off soon. “We’re bringing in the community to be part of this project,” she said, adding that all students from kindergarten to grade 7 will be involved. The project, called Birds, Bees, Berries, Beets, and Binders, is a result of a $6,500 TD Friends of the Environment grant and enthusiastic support from the community. One community member integral to the project is well-known local botanist Ray Coupe, author of Plants of Southern Interior British Columbia and the Inland Northwest. “He worked for the Ministry of the Environment and is a wealth of knowledge,” Giroux explained. Intermediate classes are responsible for habitat restoration—planting native plants. “Grades 6/7 are going to do some kind of a native plant garden with edible plants, and will do a garden with that theme,” she continued. She said they’ve looked at the cut by the driveway, the slope below Pigeon, the slope above 2nd Avenue, and are working to get a wheelchair path put in along the fenceline. “We’ll do some xeriscaping on one of the slopes where it’s really hot and dry,” she said. Some of the classrooms at Sacred Heart have worm composters, which are very popular with the students. Some of the native plants for the project, chosen with Ray’s help, were purchased from Split Rock Nursery, some will be provided by Scout Island, and some from Ray himself. “We’ll also build some shade structures along the upper fence where the kids like to sit,” said Giroux, adding that recycled wood will be used for the garden boxes. Durfeld Log and Timber is giving the kids a bunch of stumps to use for outdoor classroom areas, Acklands Granger is donating tools and gloves, and St. Vincent de Paul Society is helping with the beds so the produce that ripens in the summer will be used for its charitable food program. There will be a great deal of parental support, as well as help from all Sacred Heart staff members. The students are enthusiastic and excited. “I’m looking forward to seeing the habitat rebuilt and getting an idea of what it used to look like,” said Jessabelle Trelenberg, a grade 4 student. 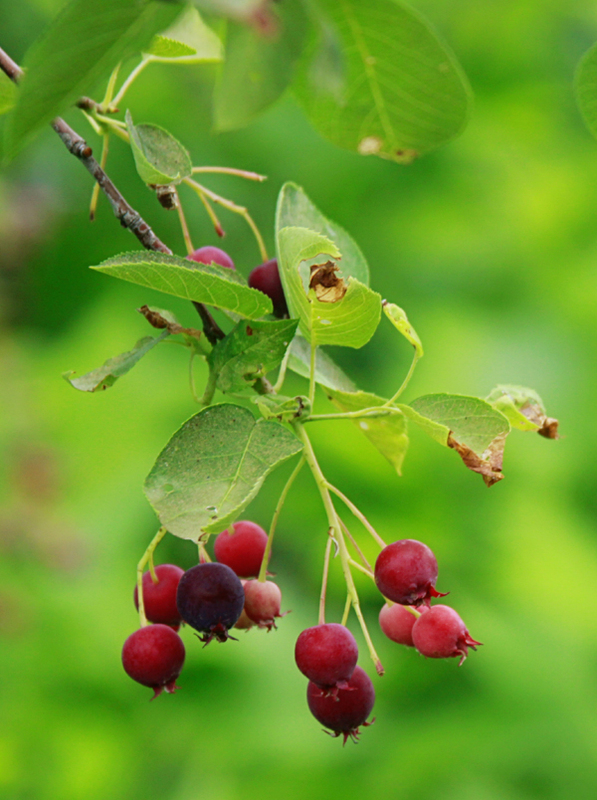 “I’m looking forward to the edible plants like wild strawberries, Saskatoons, soap berries, and raspberries,” added grade 6 student Marissa Sellars. She said the timing for this project is perfect. “The theme for Catholic schools this year is ‘Care for Our Common Home’ based on the pope’s encyclical on the environment, Laudato Si,” she explained. Having all the kids involved is all about ownership, she added. “They can look at something and say, ‘I did that.’ This also reflects our redesigned curriculum, with more project based approach to learning,” she said.